The price charged is based on the amount and type of material taken away. Before work starts, a no obligation required quote is always provided. First of all, discuss your needs with us. I agree with all the other reviews on here, London Waste Removal is very good at rubbish disposal and cheap too. 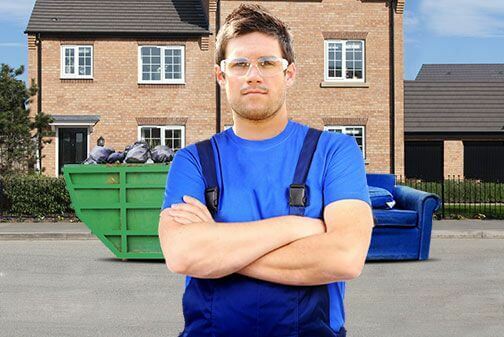 Rubbish Clearance London are excellent value for money, they really put a lot of effort into my house clearance and made my life so much easier. WE'RE HANDIER THAN YOUR RUBBISH EVER WILL BE! What is it we remove? Apart from the most hazardous of materials, we remove everything so you have no need to do so yourself. It may literally be rubbish, junk or unwanted furniture. Our waste collection covers everything you want rid of. If you feel you need expert help with rubbish clearance of any kind, turn to us. Our expertise is shown by the skilled team of clearance experts we have. They know just how to deal with any type of junk and waste. We are the answer to your rubbish removal problem. With everything loaded safely into a truck and conveniently taken away to be reused or recycled, you are helping the environment whilst helping yourself. Our customer service is also very helpful and friendly. Contact us at any time to find out more. London Waste Removal is available whenever you want us to be available. We even have a same day service. It's because we build our service around your requirements first and foremost. Your waste removal task will be treated as the individual problem it is. So whether it's a house clearance that needs to be done with tact or rubbish clearance from outside a business property in London, you'll get the exact service you're looking for. Discuss with us what you would like us to do. By dialling 020 3795 9581 now you can talk to one of our helpful advisors. Our experience in rubbish removal across London counts for so much. It immediately puts your task into safe hands. We make sure that everything is in place so you get a professional waste removal service from the moment you hire us. We understand how difficult it can be when you have junk and do not know how to get rid of it. We are here to help. In no time at all, we'll have our team of dedicated professionals on the job. By sending your items away to be recycled or reused you're helping the environment as well as helping yourself. We understand our clients love to save money and we'll do everything we can to make this happen. That's to say; unlike with some other waste collection companies you won't find any hidden extras charged by London Waste Removal. The price you see is the price you pay. We also make sure that you pay the lowest price possible by either charging by the weight or for a specific item. It always works out cheaper for you which is the way we like it. So you're not just getting a superb waste removal service in London but cracking value as well. Call us to hear your free quote now on 020 3795 9581.